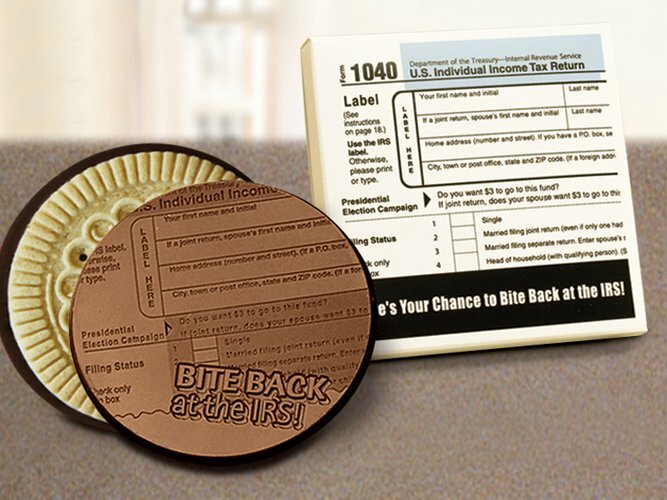 The Bite Back at the IRS Chocolate Cookie is a delicious 3.2" sugar cookie with a "Bite Back" Milk chocolate top. Each cookie is individually wrapped in clear cellophaneand come with 25 1040 printed boxes. Each box holds up to two cookies.